Popular K-Pop group Blackpink is breaking records on YouTube with their music. 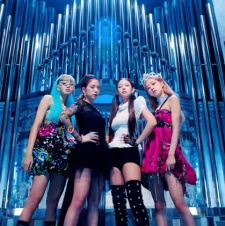 The new single from the group, “Kill This Love”, recently hit 100m views faster than any other music video on YouTube. The video smashed the record in just three days, as confirmed by a spokesperson for the platform. The music video for the single was released on April 4th and received more than 56 million views in under 24 hours, making it the most viewed debut music video in YouTube history. The premiere for the music video on YouTube was also the biggest YouTube premiere of all time, hit over 979,000 concurrent viewers at one point. As of now, the music video has reached over 156 million views and still growing. Prior to the Blackpink's release, the most-watched premiere belonged to Ariana Grande's 'thank u, next'. Blackpink is making all kinds of waves, being the first all-female group to reach the top of the iTunes US charts in 15 years. That milestone was previously held by Destiny’s Child back in 2004 with the release of their hit 'Lose My Breath'. Blackpink is also scheduled to appear at Coachella alongside the likes of The 1975, Childish Gambino and Billie Eilish. Their performances are scheduled to be streamed onn YouTube.